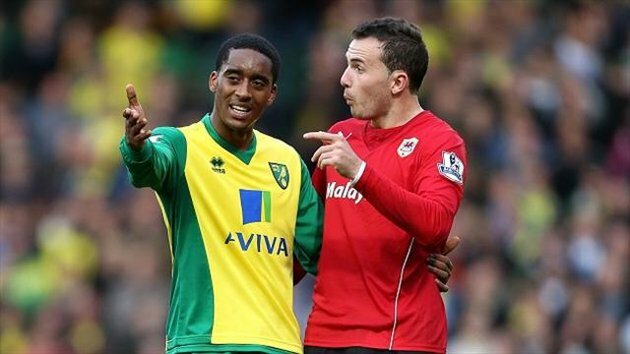 Norwich City have been fined £20,000 after admitting to a charge from the Football Association where their players were involved in a scuffle towards the end of their Premier League match against Cardiff City the week before last. In a match that ended goalless, tempers flared at the end during stoppage time when Dutch midfielder Leroy Fer attempted to score from a throw-in when in fact the Cardiff players had put the ball out for an injured player to receive treatment. The goal was chalked off by the referee as he ruled that he had not restarted play and that the ball was taken even before he could blow the whistle. Cardiff were also charged with the same breach of the code of conduct, but the Welsh club, though having admitted to the charge have rejected the standard penalty and have opted to press for a hearing which will decide the nature of sanctions to be levied against them.